Cluck no longer, the Basic Chicken Trophy is here to make a squawk! 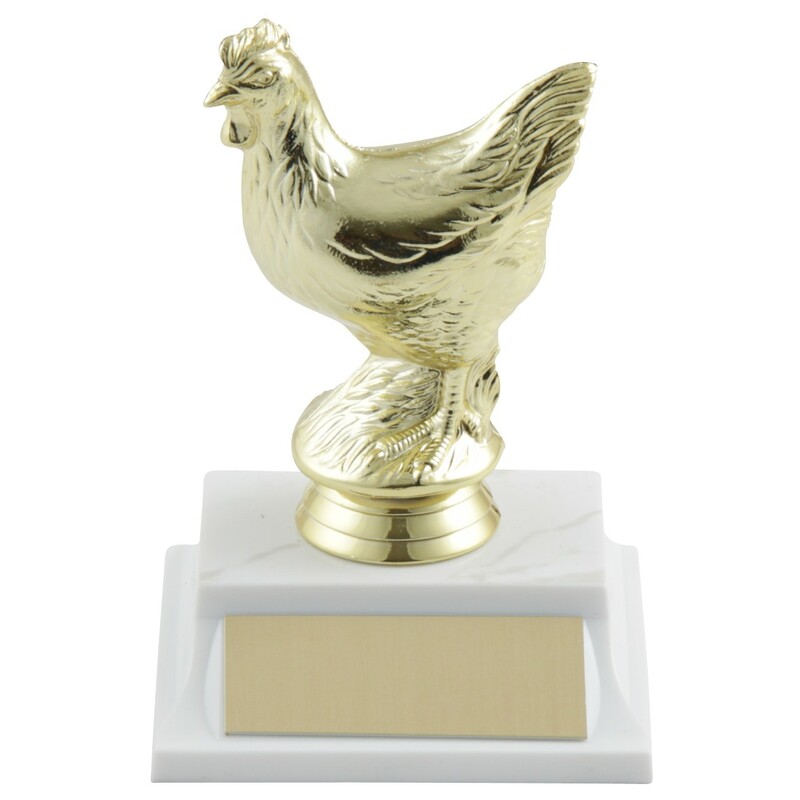 This chicken stands on a base in your choice of color; overall trophy height is 5 inches. Makes a great loser trophy or 4H award.